We have been family owned and operated since 1953, Universal Floors is Washington's oldest and finest wood floor company. We have been offering over 60 continuous years of service to the government, architects, builders, contractors, designers, historic restoration projects and homeowners alike. We specialize in hard to achieve colors and master of all finishes. We work on projects that range from historic restoration to cutting edge and modern designs and finishes. We are a master of the hand scraping process and the lost art of wood bending. 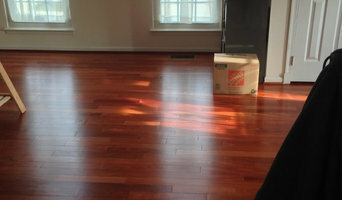 If you are looking to have a new hardwood floor installed, or refinish your existing floors, please give us a call. We offer friendly, expert service and stand behind our work. We also have a showroom located at 4625 41st Street NW Washington DC 20016. House of Interiors has been family owned and operated in Springfield, VA since 1976. Our wide variety of inventory and in stock merchandise allows for convenient, cost efficient, and quick installation. Customers are able to view the showroom as well as a fully stocked warehouse in one stop. Because of our on site inventory we able to provide our customers with the highest quality and best prices in the area. We proudly carry merchandise from quality brand names including: Mohawk Industry, Shaw, Bruce,Gulistan, Stanton, Mirage and beaulieu. All of our installation force have been bonded and insured as well as employees of the company, eliminating the need for subcontractors. At 4 J Flooring and Area Rugs You Design, we offer a diverse portfolio of carpet, resilient, hardwood, tile & stone, and laminate flooring products. We can even install it all for you, too! Looking for a custom, one of a kind area rug? We can take your dream and make it a reality! We're here to help with your binding, serging, fringing, and repairs needs! *Authorized Dealer of Shaw Floors* Flooring choices have never been greater than they are today. Floor Systems Inc. is here to assist you in choosing quality floor coverings for your home or business. Every homeowner or business owner who cares enough to want the very best can literally roll out a room full of beauty with new floor coverings from Floor Systems. We carry a complete collection of nationally known brands of quality carpeting from the leading manufacturers in the floor covering industry. We are a Mohawk Color Center Elite Store and a Shaw Aligned dealer guaranteeing our customers the very best in pricing, satisfaction, and extended warranties. We carry the leading manufacturers in vinyl flooring, ceramic tile, hardwood, laminates and specialty flooring. Whether its carpet, area rugs, hardwood floors, ceramic tile, bamboo, cork or vinyl, refinishing hardwood floors or resealing and re-grouting tile, Commercial or Residential Flooring, Floor Systems Inc. will have you covered. 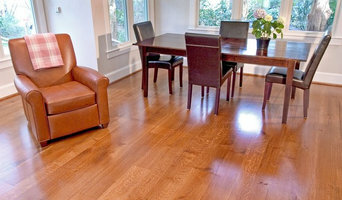 We do hardwood flooring services, we have an experience of over 10 years, we are adequate on our pricing. I have 3+ employees and I guarantee a great job. Come by the Showroom for a FREE 3x5 Rug! Full Home remodeling, We started as a Flooring Company and at one point we were the biggest residential flooring Company in Mid Atlantic. For past six years we have been in Home remodeling business and applying all the great practices to this division. We DO fanatic jobs! 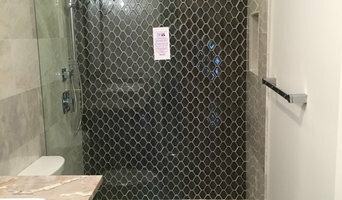 Kitchen remodeling, Bathroom remodeling, Addition and Basement finishing!!! We are a family owned business for over 30 years. Our Sales Associates do not work on commission so we are able to pass on the saving to you. There is always a Flooring specialist and a Installation Manager in the showroom to help with any questions you may have. We always offer a free in home estimate! Carpet Bazaar and Flooring is a family owned business and has been providing excellent service to its customers since 1983. We are currently located at 1919 Seminary Road in the city of Silver Spring in Montgomery County Maryland. Our showroom is conveniently located near interstate 495, easy to locate if you are coming from Baltimore, Virginia and Washington, D.C.
Our flooring installers are proud to offer professional advice and assistance to every detail of your remodeling process. Capital Carpet LLC offers the industry's best flooring and installation practices necessary for complete commercial and residential spaces. We deliver quality residential and commercial flooring using the finest materials, both natural and synthetic. 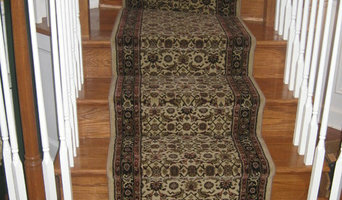 Contract Carpet One is your expert when it comes to flooring. Built by three generations of flooring professionals, we are knowledgeable, helpful and will provide you with superior service during the floor shopping process. Our affiliation with the international cooperative Carpet One Floor & Home allows us to group together and buy the best and highest quality products and bring them to you at affordable prices. And with the best warranties in the business, you can rest assured that if you don't love your floor, we'll make sure you find one you do, at no cost to you. We offer the largest selection of: Carpet Hardwood Flooring Laminate Ceramic Tile Vinyl Flooring Area Rugs Save $100 by visiting our website and scheduling a free in-home flooring consultation online! New York Carpet & Floors, Inc.
We are a full service floor covering company,we also do granite counter tops, full bathroom & kitchen remodeling,we have been serving customers in Vriginia, Maryland and Dc since 1994 and rated #1 by consumer check book magazine. We are also rated highly on Angie's List. We take pride in our work and always look for fresh ideas and follow the trend of the industry,almost 80% of our business is based on referralls and repeat business.